An error occurred while accessing the Hard Disk 0 used by "My Boot Camp". 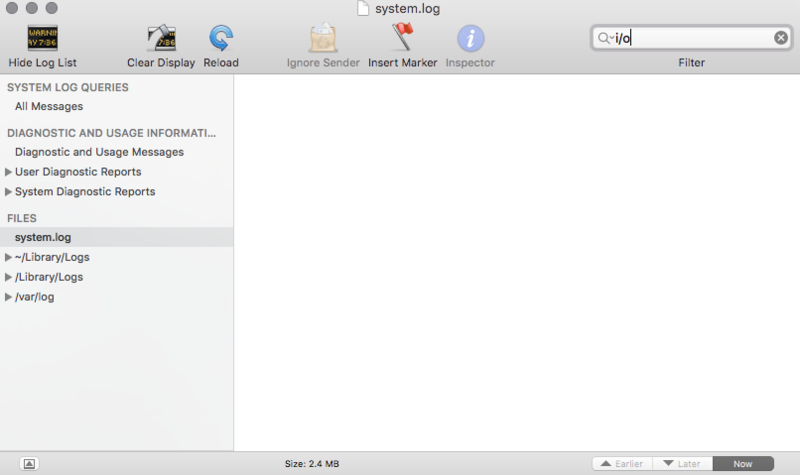 Launch Terminal ( Finder > Applications > Utilities > Terminal). CoreStorageGroup::completeIORequest - error 0xe00002ca detected for LVG "Macintosh HD" (D41ACF9D-27F1-44D4-A4D4-B3ACE45334CF), pv 3E833260-3241-4375-BB0F-972C27A3C457, near LV byte offset = 2024465223680. It means that the disk could not be written or read -> This is critical error message. You may lose another pieces of the physical memory. Please report this issue to Apple. Because no application can run on the damaged hardware. We strongly recommend to show your Mac HD to Apple because bad sectors may indicate a hardware problem and are likely to reappear. For OS X operating systems released before El Capitan to check input/output (I/O) disk errors use the following instructions to check system.log to find corresponding error messages. Jun 15 09:54:33 User-iMac kernel: disk0s4: I/O error. Jun 15 09:54:52 User-iMac kernel: disk0s4: I/O error. Jun 15 09:55:29 User-iMac kernel: disk0s4: I/O error. Jun 15 09:56:07 User-iMac kernel: disk0s4: I/O error.